Makin' a beautiful scene funny, ah, I love it! Sora: "AHH! I hate birds!!" Riku: "Then you shouldn't have fed them bread crumbs!" 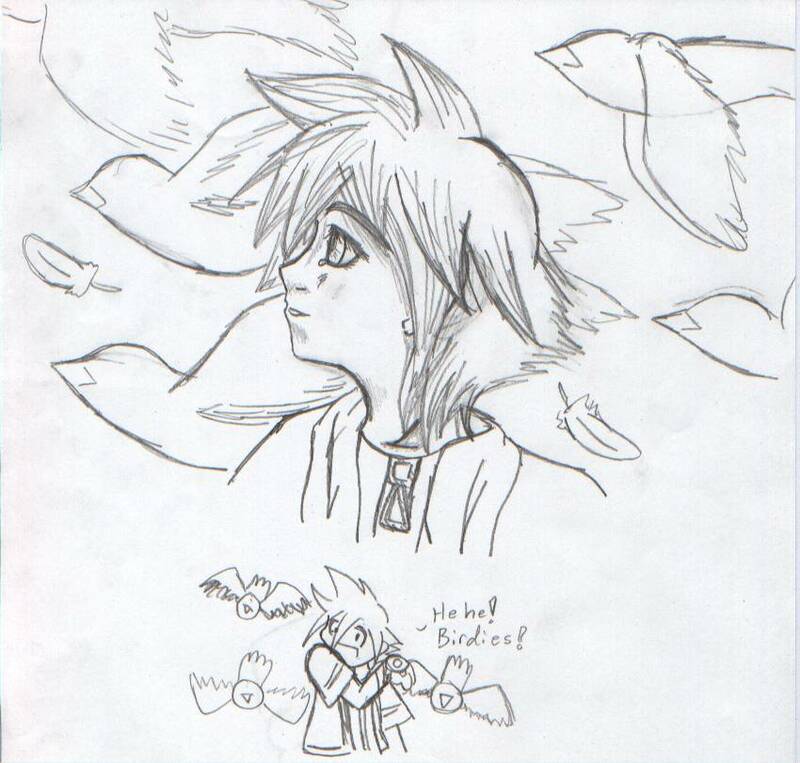 awwwwwwwww... poor Sora... I feel sorry for him *Swats birds away* this is a cute picture.